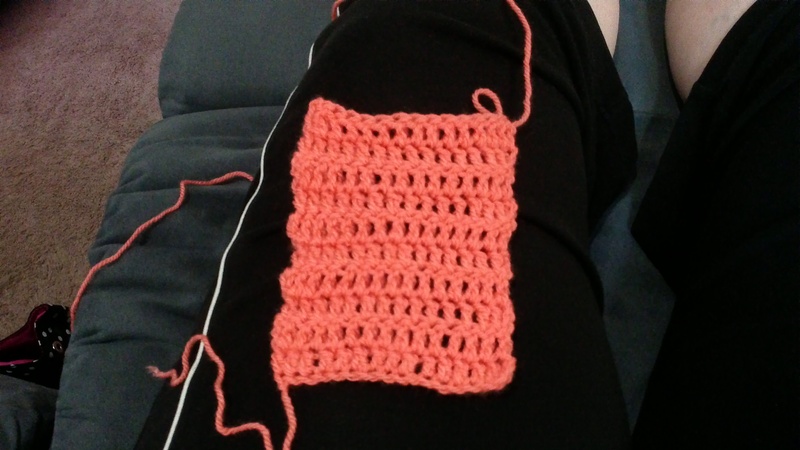 In my last post I mentioned working on the baby blanket that wasn’t going so well. You’ll be happy to hear that I finished it! 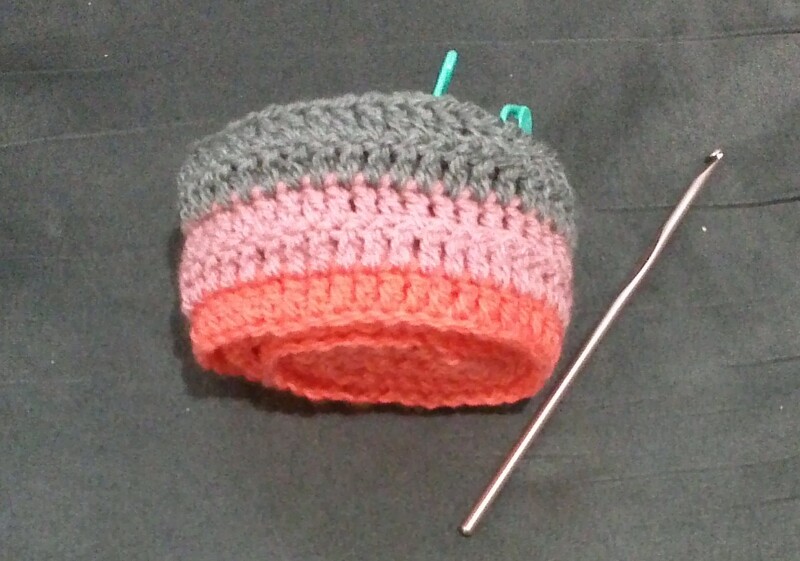 She is taking me longer than Coral, but I had a vacation and all this crocheting. But I am loving stitching on here. She will be done in no time, I am sure. So what are you spending your time on these days? The baby blanket is adorable! You did a good job. And the new CAL blanket is going to be pretty. Marking the stitches is a great idea to help you keep count. And of course, I love watching the mermaid come together. 🙂 I am hoping to finish the Millais shawl today, then I will write a post about the weekend. WITH fair photos! Thank you. 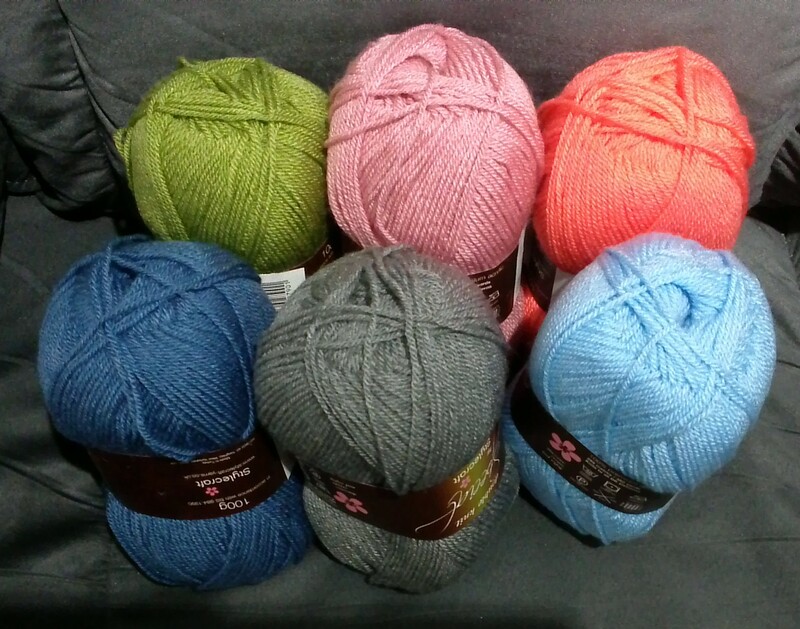 I am looking forward to getting the rest of my yarn so that I can get back to crocheting and get caught up. 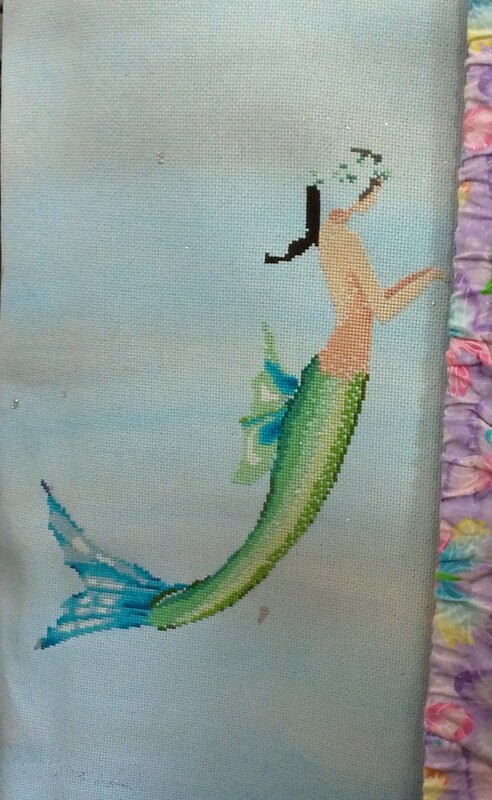 Stitched a bit on Mermaid this weekend and am hoping to have her finished in the next day or two. Depending what else is thrown my way. I look forward to seeing your shawl finished. I know it will be gorgeous! Hope the yarn arrives soon! Look at you go! 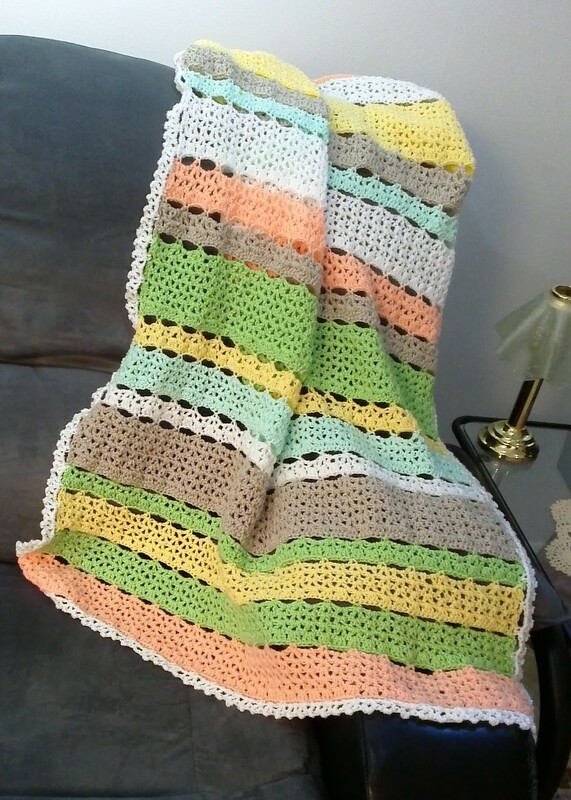 Your baby blanket finish is so adorable. Now onto the next one. Your colors are really pretty. And Azure is of course simply stunning. Glad to see you are branching out to other crafts like me!! 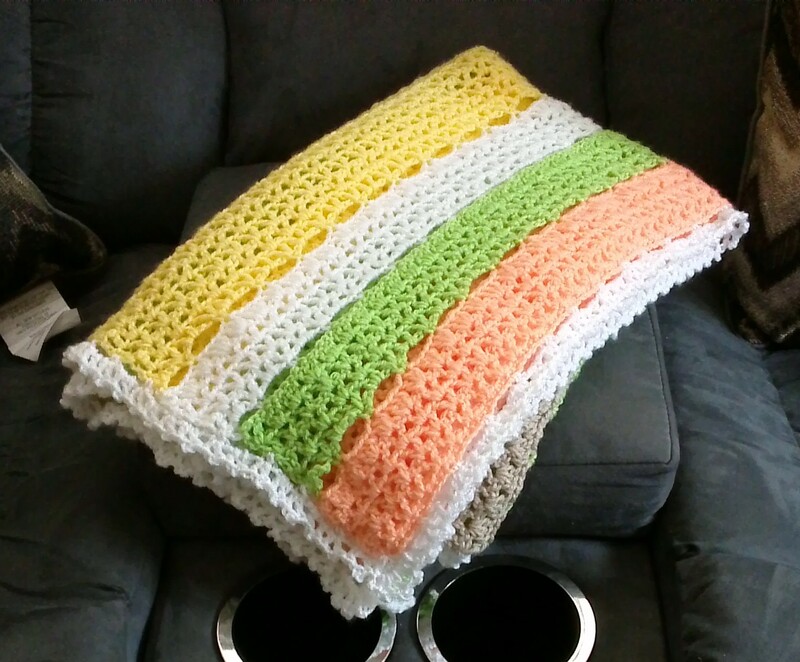 The baby blanket looks beautiful! I love how open and lacy it feels. I like the colors on your new blanket!